Back in 1902, Willis Carrier invented the modern air-conditioning system. Thirteen years later, W. Carrier together with I. Lyle and five other fellow engineers founded Carrier Engineering Corporation. Later, the combination of the names “Carrier” and “Lyle” gave rise to Carlyle, the compressor company. Over the years, both companies have become leading players in the global air conditioning and refrigeration markets. Currently, Carrier and Carlyle are part of the same parent company, United Technologies Corporation, which serves customers in the building, commercial aerospace, and defense industries. Furthermore, Carrier and Carlyle have continuously reinvented and fine-tuned the technologies behind the two hearts that keep thousands of air conditioning systems alive around the world: the Carrier AC compressor and the Carlyle AC Compressor. Today, Carrier and Carlyle compressor solutions are renowned for their energy efficiency, reliability, and sustainability. 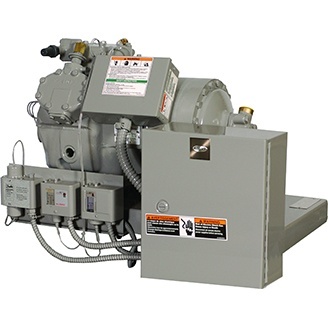 Although manufacturing different Carlyle and Carrier AC compressor models, parts, and accessories unavoidably requires energy and materials, both manufacturers are committed to sustainable manufacturing processes that minimize energy consumption and waste. Additionally, they comply with strict refrigerant containment and management standards. Over the past few years, Carrier and Carlyle have also opted for new refrigerant choices that are more environmentally friendly, safer to humans, and provide excellent performance benefits. At Compressors Unlimited, we are proud to be a small part of the wonderful world of compressor innovation. Focusing on indoor air quality, personal comfort, as well as efficiency and sustainability, our company strives to offer our customers the best products and services available in the market. But we also understand your concerns about affordability and capital-investment decisions. It is for this reason we offer competitive pricing for all of our remanufactured Carrier AC compressor and Carlyle AC compressor models. When you call us, you can rest assured knowing that our experienced professionals will take into account all of your needs in order to help you make the right choices for your facility. To learn more about our HVAC/R compressor replacements, or to find a professional who can guide you every step of the way to find the right Carlyle or Carrier AC compressor for your application, please feel free to get in touch with us by filling out our Contact Us form.